This may not be surprising to many Dean Ambrose fans. Ever since the United States Championship was re-introduced back in 2003, the title has been won by 63 different superstars. 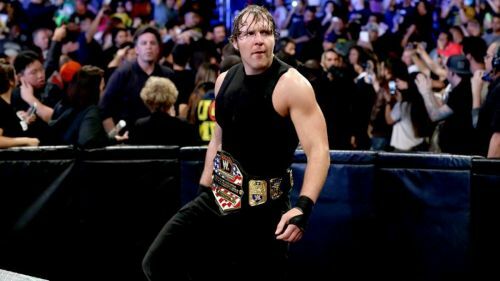 Out of them, Dean Ambrose holds the record for the longest reign with the belt, at 350 days. That's just a couple of weeks short of an entire year. He was also the first member among The Shield to win a singles belt on the main roster. Interestingly, he was also the first member of the group to have become both a Triple Crown Champion and a Grand Slam champion. In the modern format of championships in WWE, there are only 12 Grand Slam Champions and Ambrose was their eighth Grand Slam champion. That's saying a lot about Dean, who achieved all of this in the first five years in the company.